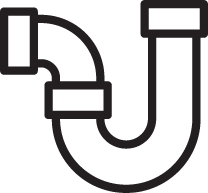 LookLocalWA's Perth directory puts you in touch with Plumbers / Gas specialists near you. When you suffer a plumbing disaster you need help fast. Burst pipes and leaking taps can waste huge amounts of water very quickly and cost you big dollars. Blocked toilets can cause a household nightmare! A local plumber can get to your home fast and sort out a problem before it becomes a major disaster. For blocked drains, water hammers, burst pipes, leaking showers or taps, check out our list of local community plumbing Perth services. Blocked or leaking gutters can also be serviced and repaired. If you’re looking for local help with new appliances or renovations, your local community plumbers - WA are the place to go. 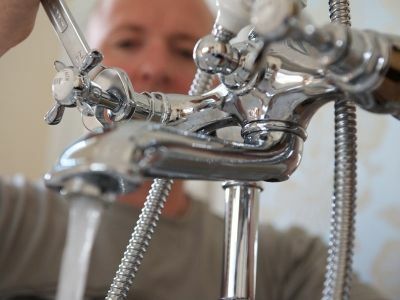 They can help with dishwasher and washing machine installations, reticulation installation and repair, electric and hot water installation, options for water saving taps and toilets, new fittings and fixtures, backflow prevention and fridge connections. Some plumbers - Perth can even help you plan and design a total service for a new house or premise including water, gas and drainage. Many plumbers - WA also offer excellent gas solutions. In an emergency, don’t wait for the potentially serious consequences of a fire or explosion; call your local plumber - Perth so they can quickly assist with gas leaks and broken pipes, as well as provide gas testing and safety checks in your home or office. In your home, your local plumber can also assist with installations of cooktops, free standing cookers, hot water systems, space heaters and much more! Call your local plumbers today to see what services are on offer or search from our list of local plumbers - Perth here at LookLocalWA. Do you offer services for plumbing - Perth? Get your business listed on LookLocalWA today! All Perth Plumbing & Gas ensures it delivers the quality job its customers deserve with integrity and expertise. The business offers a comprehensive list of services, including clearance of blocked sewers, waste pipes, gas and electric hot water repairs, toilet cistern repairs and replacement, leak detection, gas appliance servicing, renovations, maintenance and more. Husband and wife team Peter and Sandra Ellis run the business, and are passionate about delivering exceptional customer service. With 35 years of experience in the industry, Peter is capable of understanding any job and providing advice about any aspect of plumbing, gas and hot water systems. The family business is made up of a team of professional and experienced tradesmen. 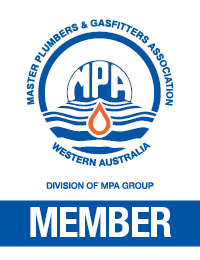 All Perth Plumbing & Gas is a member of the Master Plumbers Association and is a Waterwise Specialist. With no call out fee, the business caters to residential and commercial customers throughout the Perth metropolitan area, specialising in the Western Suburbs. Concession Card Holders receive 10% off labour costs. Discount only applies to owner-occupied properties. An Indigenous plumbing company with a reputation of Excellence! Alpine Plumbing WA Pty. Ltd.